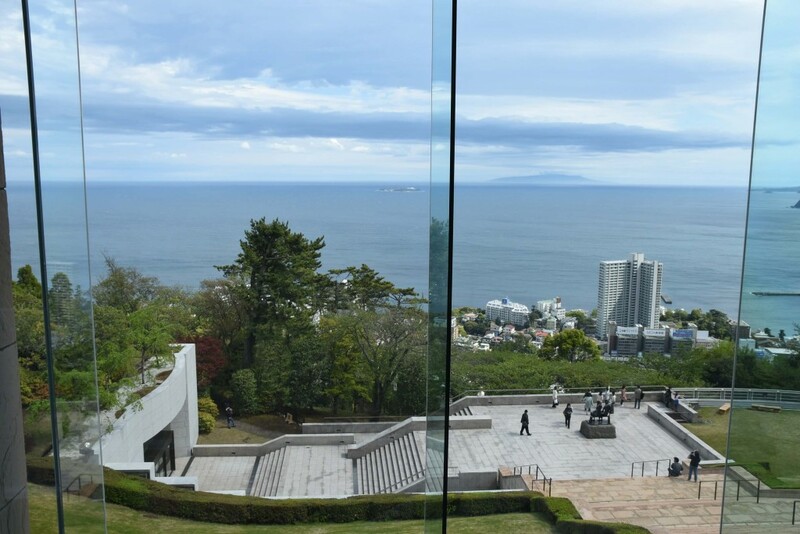 After my visit to Kyu Hyuga Bettei, I headed back to the train station to take a free shuttle bus to the MOA Museum of Art situated on the top of hill that overlooks the sea. 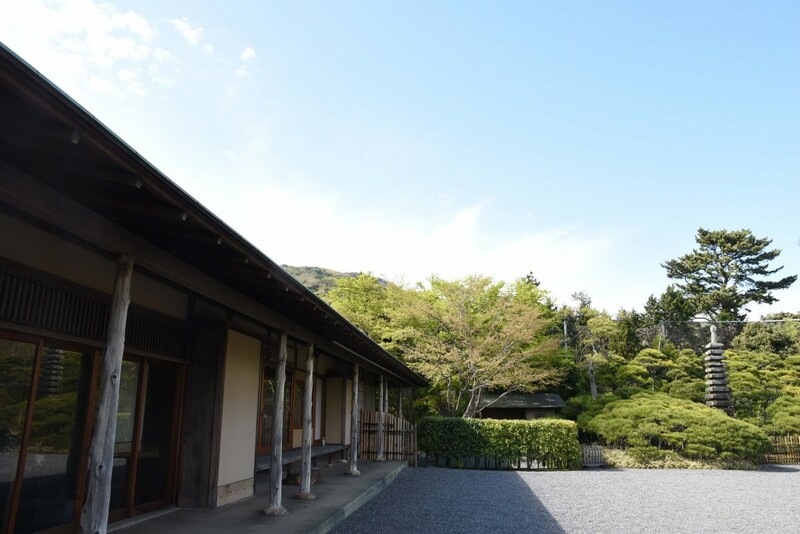 Like Miho Museum in Kyoto, this private museum was opened in 1982 by the Mokichi Okada Association (MOA) to house the art collection of the multimillionaire and religious leader (Church of World Messianity) Mokichi Okada (1882–1955). 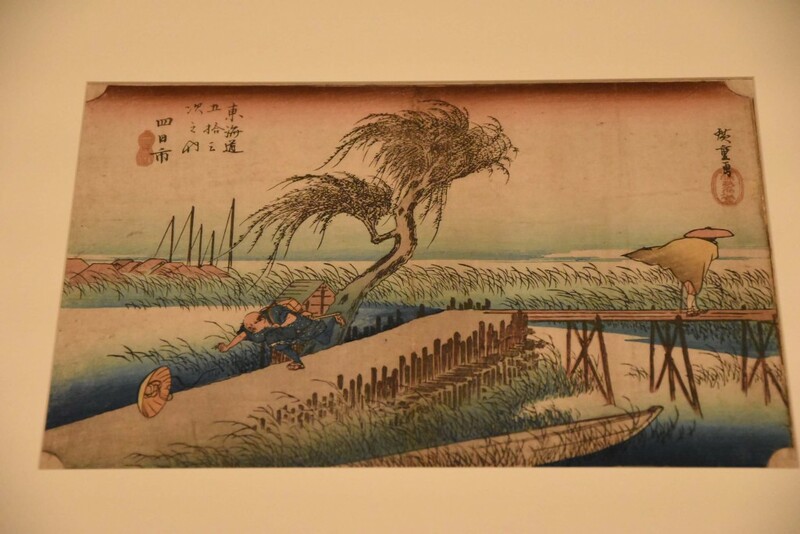 There are 3,500 paintings, calligraphy works, sculptures, lacquerware and ceramics focusing on Japanese and Chinese art. 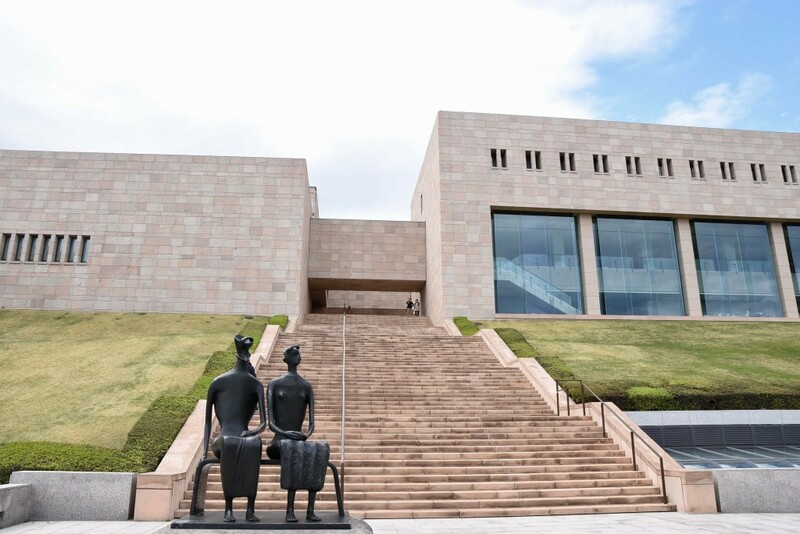 The museum reopened in 2017 after a major renovation by contemporary artist Hiroshi Sugimoto and architect Tomoyuki Sakakida. 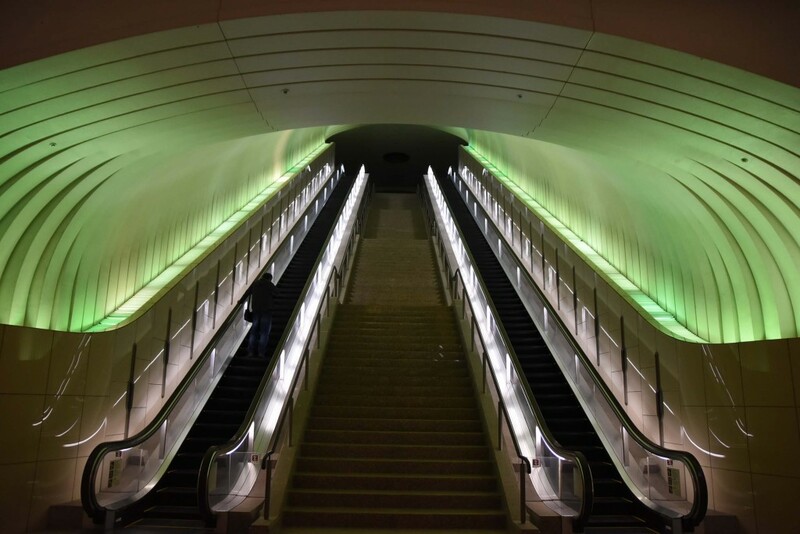 Interestingly, in order to reach the entrance of the museum, visitors have to go up a series of long escalators in a tunnel-like setting with colour-changing lighting. 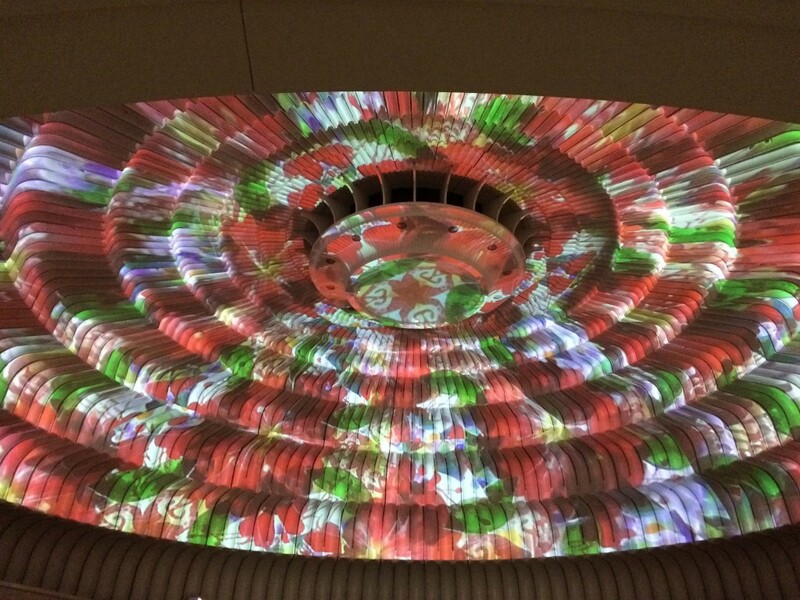 And when visitors reach the top, there is a dome showcasing some projected imagery with sound installations. 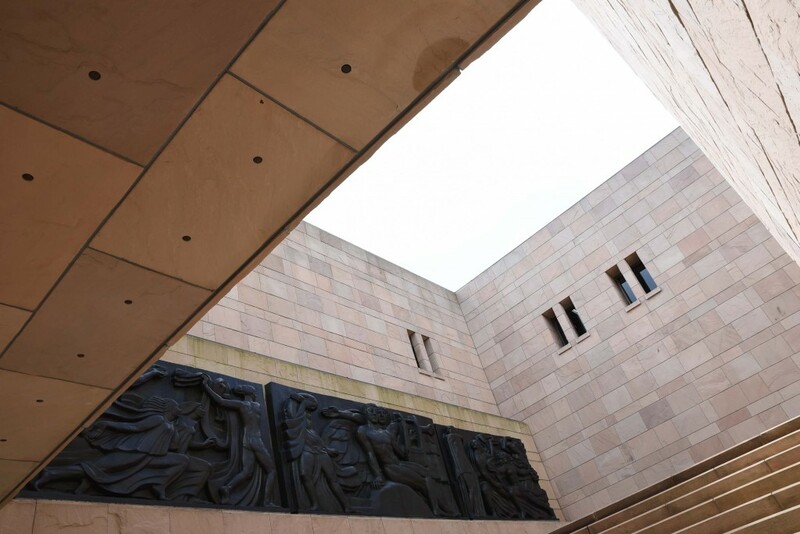 The whole experience (before you even reach the museum) is immersive and uplifting, which makes you anticipate and look forward to what is to follow. Finally, after I left the first building, I was out in the open with the sky and sea on one side, and a massive pinkish contemporary building on the other. 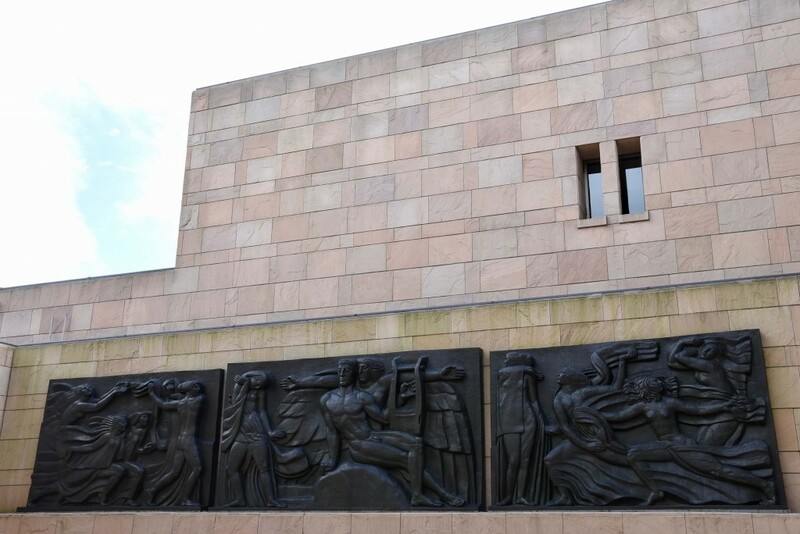 And before stepping onto the the long and wide staircases, I was greeted by Henry Moore's bronze work, “King and Queen”. 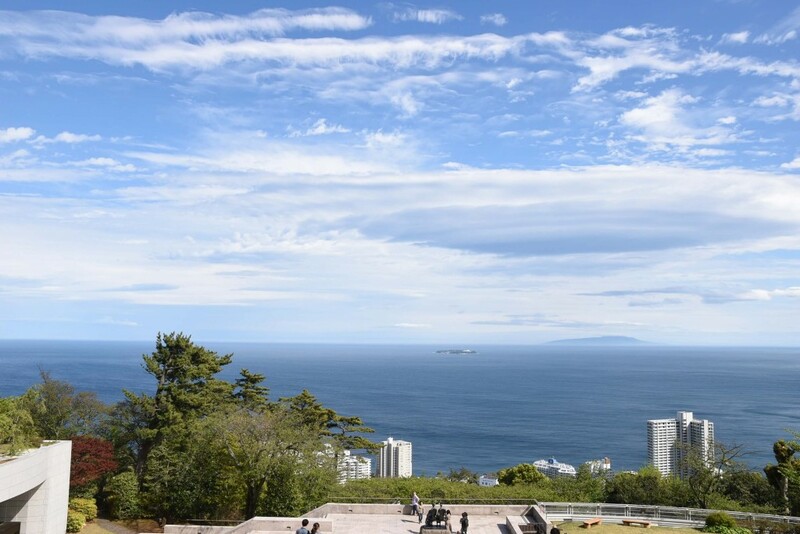 I was incredibly lucky with the weather, and the view of the sky and sea was spectacular on the day of my visit. I was also fortunate enough to have been able to see the special exhibition: "Hokusai and Hiroshige―The Thirty-six Views of Mt. 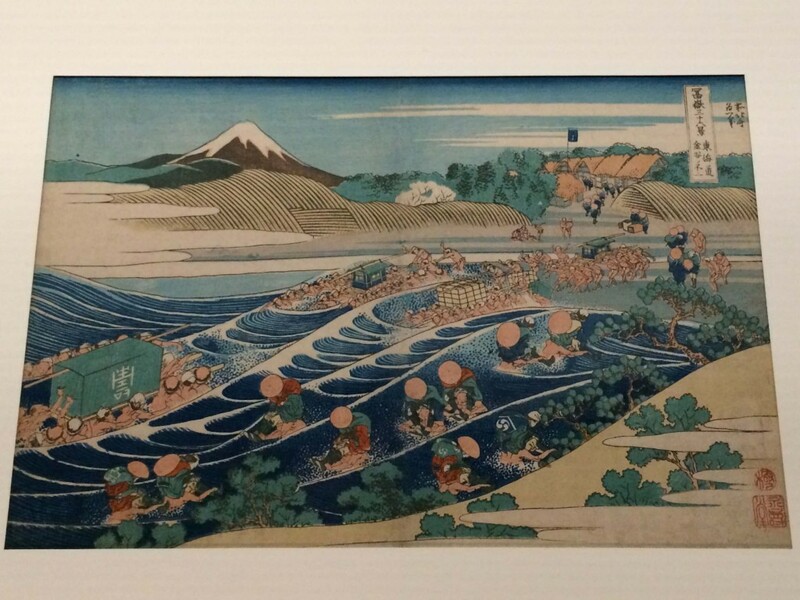 Fuji and the Fifty-three Stages of the Tokaido". Although I have seen several exhibitions on the ukiyo-e by Hokusai and Hiroshige, I have never seen the two complete series side by side, so I was really excited about it. 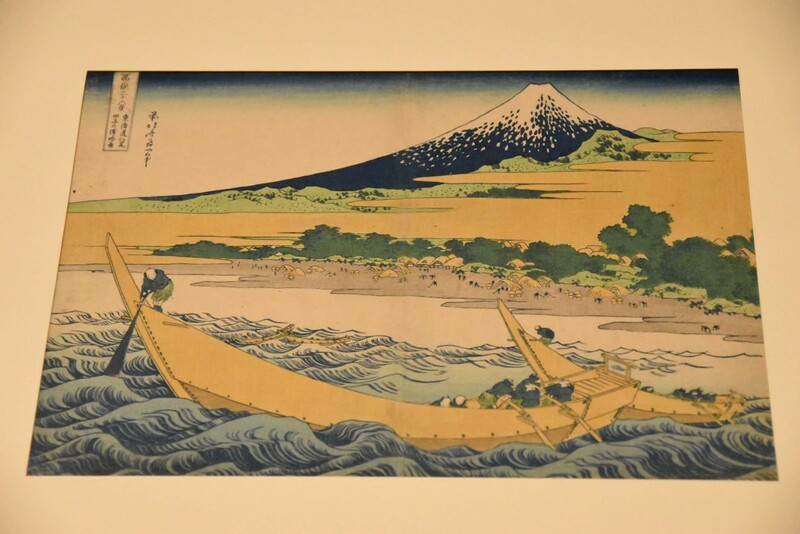 Published in 1831 by Nishimura Eijudō press, Katsushika Hokusai's (1760-1849) 36 woodblock print designs were published initially, with 10 more added later on. 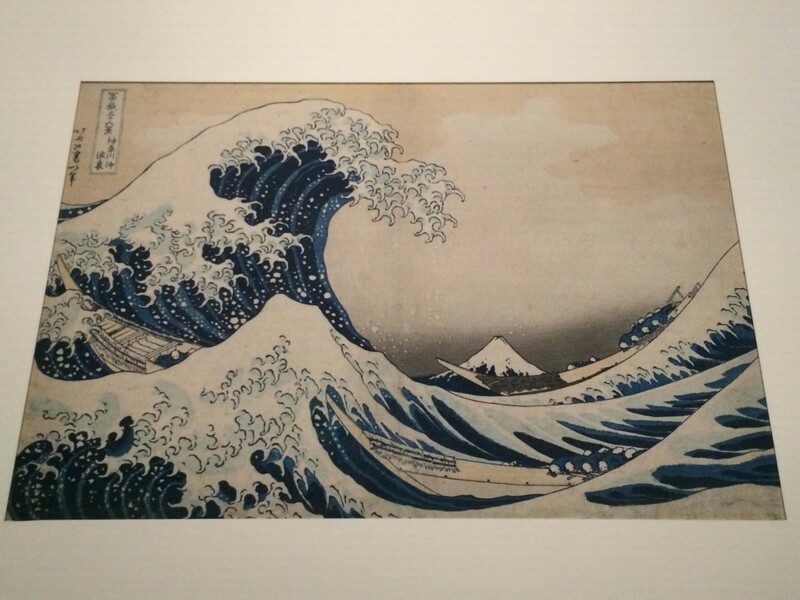 The two most famous prints are "The great wave of Kanagawa" and “A mild breeze on a fine day" or The Red Fuji”, and they both depict the power and calmness of nature. 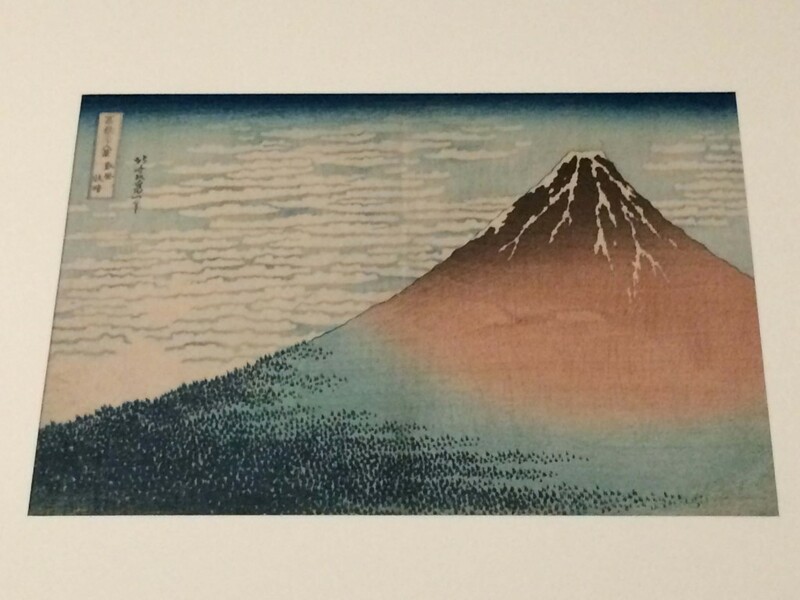 In every print, the revered Mount Fuji can be seen from different angles, sizes and colours. 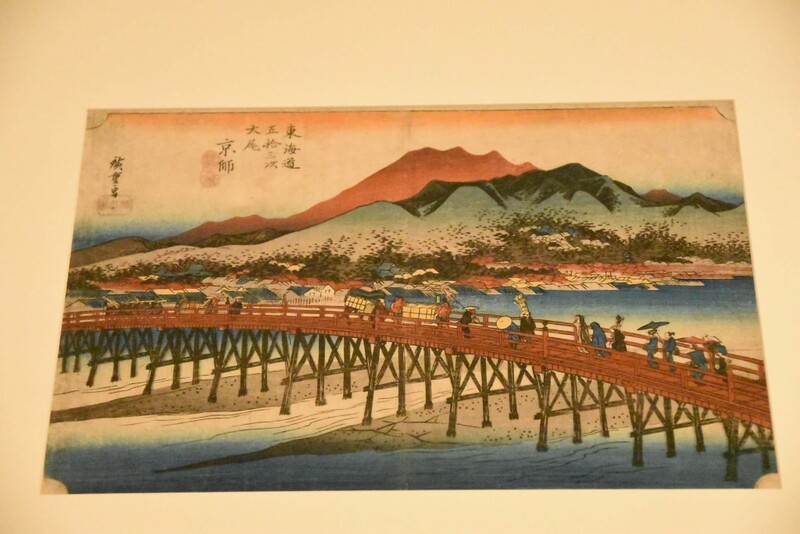 The Hoeido press published Utagawa Hiroshige's (1797-1858) "Fifty-three Stations of the Tokaido" in 1833-4 after his expedition with the Shogun from Edo to Kyoto the previous year. 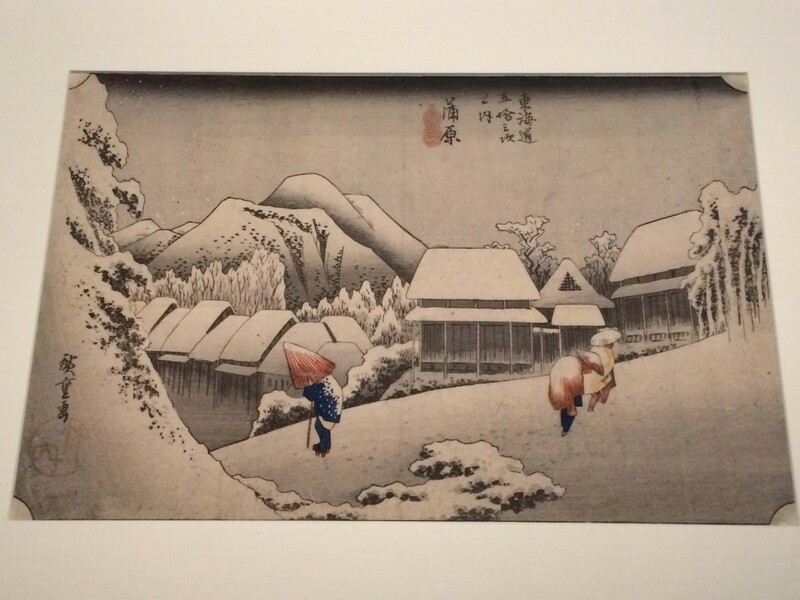 The series of woodblock prints feature the landscape of the 53 post stations along the The Tokaido route, which connected Edo with the then-capital of Kyoto. 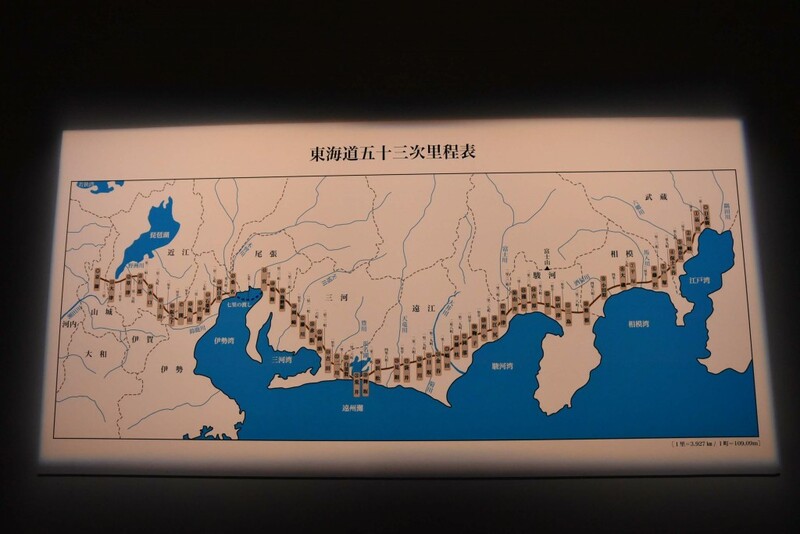 If you want to learn more about this, you can check out this map that features the locations and prints by Hiroshige. The compositions, the use of colours and tones, and most importantly –humanity– are expressed vividly by the two great masters. It was a real treat to be able to see the complete sets at this exhibition. 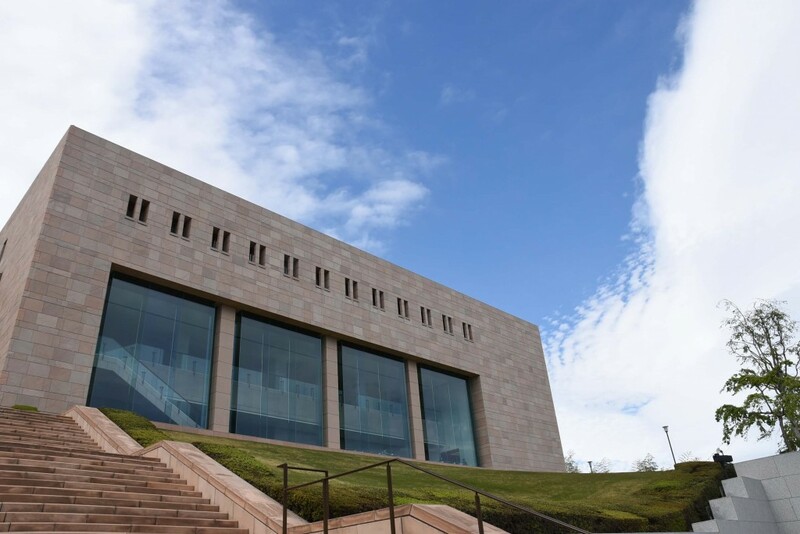 Besides the temporary exhibitions, there are some exquisite National treasures that can also be found at the museum. 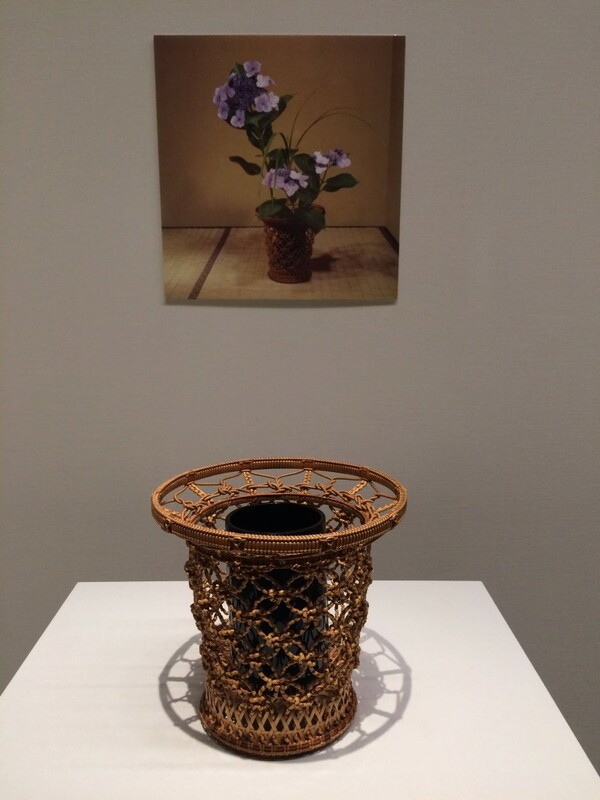 One of them is Ogata Korin's masterpiece from the Edo period “Red and White Plum Blossoms,” painted on a pair of two-panel folding screens. 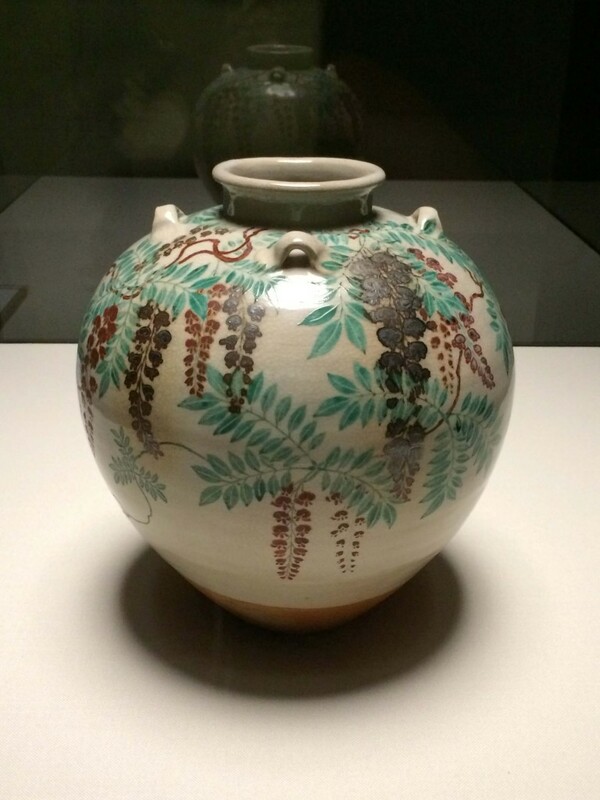 The other is another Edo period Tea-leaf jar with a design of wisteria by Nonomura Ninsei. 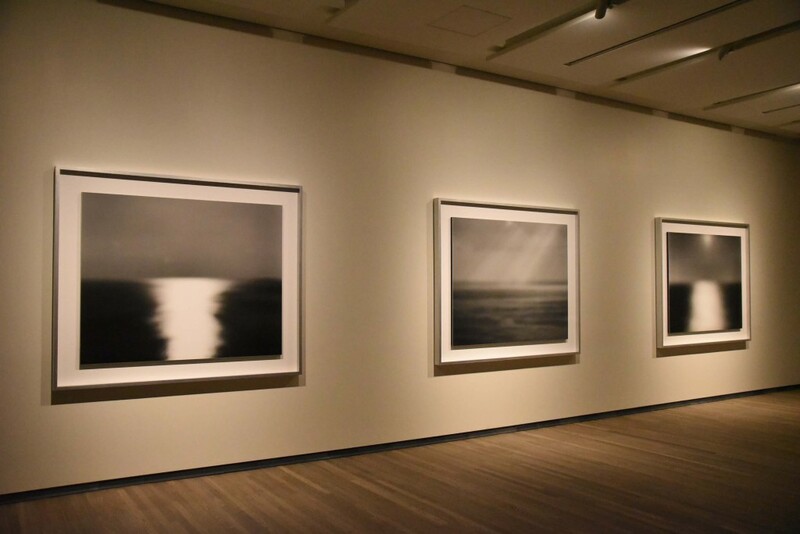 And in another room, there are also some photographic works by Hiroshi Sugimoto of the sea shot from Atami. 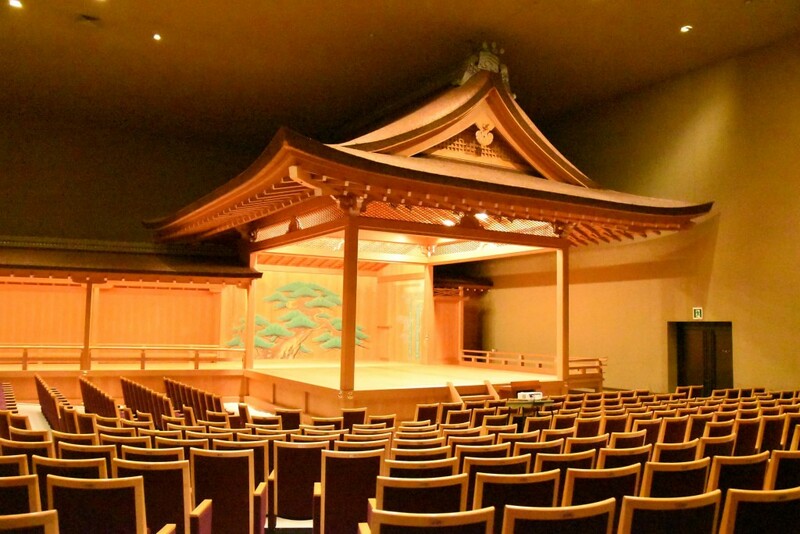 There is even a Noh theatre inside the museum where performances and concerts are held regularly. 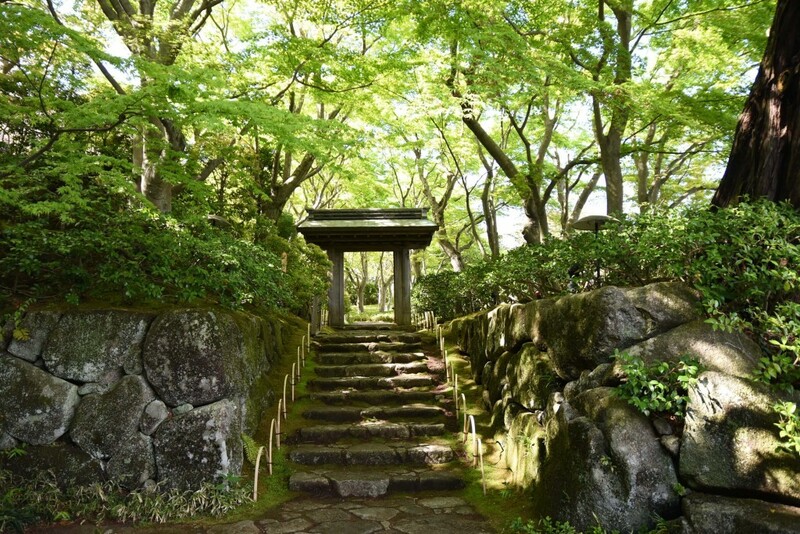 One you step out of side of the building, a path would lead you to the Japanese tea garden, Ippaku-an and Shotei tea houses and the reconstructed Residence of Ogata Korin (a famous Japanese painter, lacquerer and designer of the Rinpa school) based on the documents from the Konishi Archive. 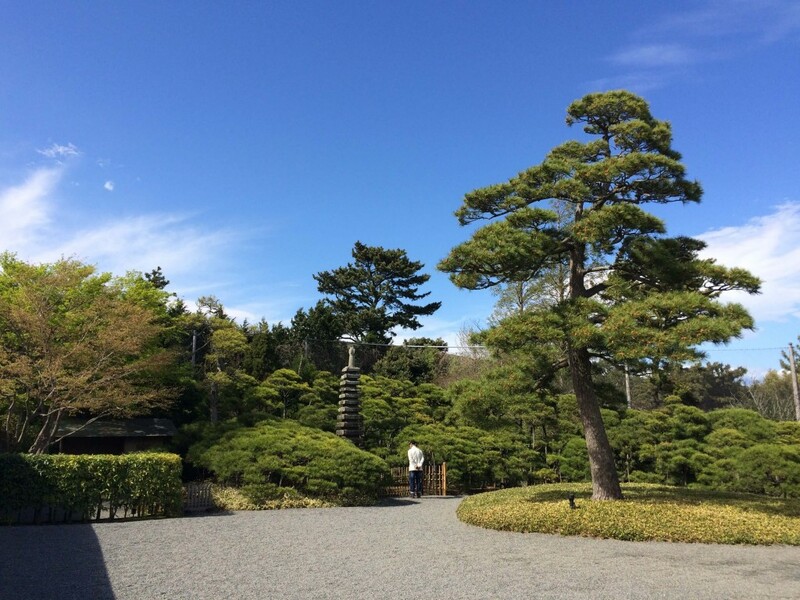 It was incredibly calm and meditative to walk around the garden, and I only wish I had more time to spare here. 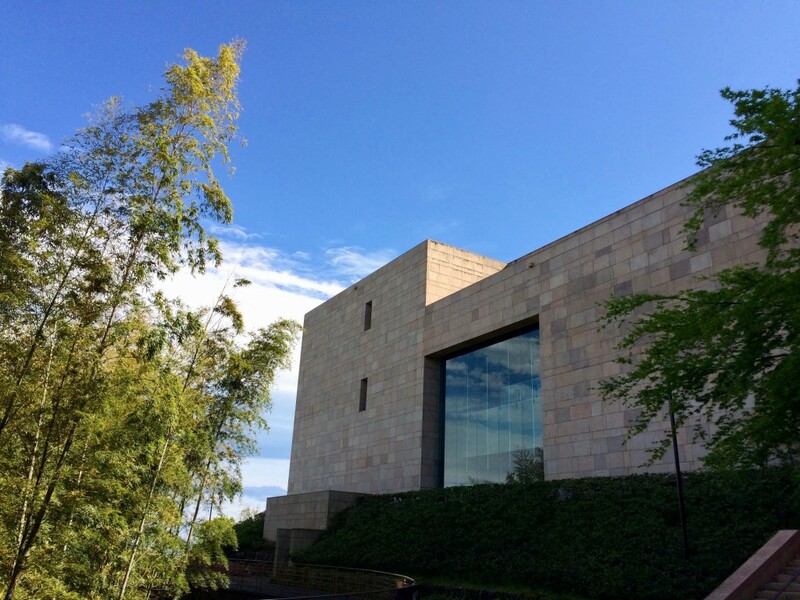 I would recommend a visit to this stunning museum especially if you want to get away from the hustle and bustle of Tokyo. 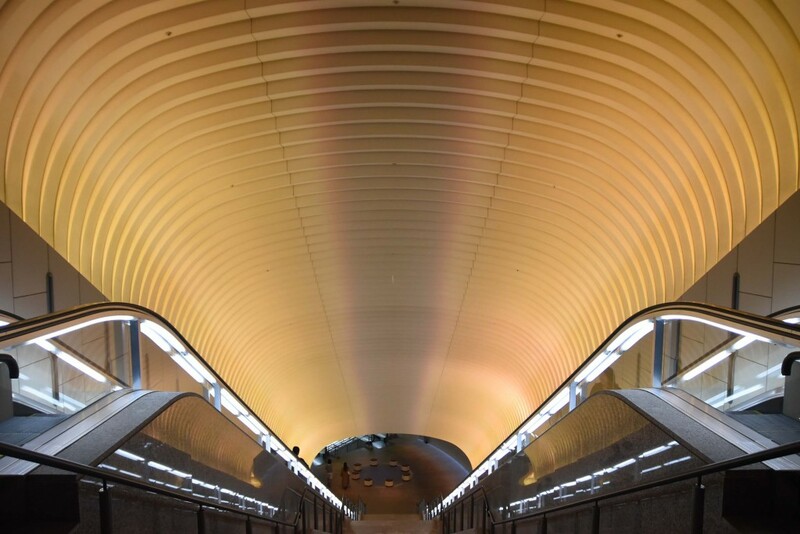 Although Tokyo offers many world-class museums, it is the beautiful nature and environment that makes this museum stands out from the crowd.